This watercolor painting combines two beautiful flowers. 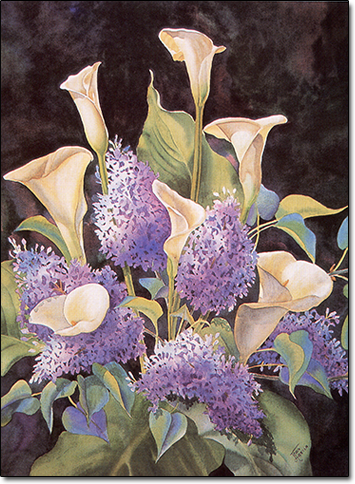 The artist grew up in Superior, WI and has fond memories of fragrant lilacs growing in her backyard. Her mother's favorite flower is the calla lily. It made a good combination.